Who looks out for aging Californians who do not have relatives our outside caregivers to keep an eye out for the signs of elder abuse? The California State Long-Term Care Ombudsman Program is in place to make sure that older adults receive proper care in long-term care facilities across the state. What is a long-term care facility? Examples in California include: nursing homes, assisted-living facilities, and residential care facilities for the elderly (RCFEs). San Diego residents following the latest news about RCFEs know that many of these facilities in our state have fallen under much scrutiny in recent months, along with many assisted-living facilities. The Long-Term Care (LTC) Ombudsman program spe cifically “investigates elder abuse complaints” at facilities such as these. Providing an Ombudsman to attend a resident or family council meeting. Pursuing resident advocacy in the long-term care health system, which means attending to the law, policies, regulations, and administration. The Ombudsman Program tries to do this through public education and consensus building, according to its website. In San Diego County specifically, Aging and Independent Services (AIS) provides assistance to older adults and their families. At the same time, it is important to know that you may have legal recourse in the event of nursing home abuse or neglect. 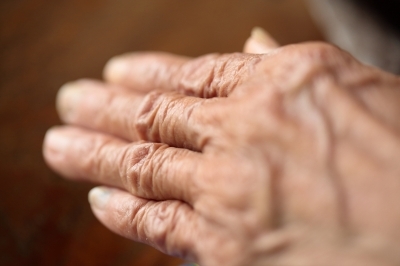 A San Diego elder abuse attorney can assess your case today. Volunteers also assist the LTC Ombudsman Program throughout the state of California. According to an article in the Bakersfield Californian, Ombudsman volunteers are vital to helping the program run. These volunteers often “visit local nursing homes and check in on elderly residents who have no family or friends to watch out for them.” In addition, “regular visits by Ombuds man volunteers also keep nursing homes to a high standard of care and cleanliness.” Many of the local programs need volunteers, as full-time employees are not able to visit the facilities with the same frequency. Yet despite its dedicated employees and volunteers, the LTC Ombudsman Program cannot prevent or equally attend to each case of suspected nursing home abuse. Indeed, while the California Department of Aging makes efforts to investigate complaints of nursing home abuse and neglect throughout the state, many California seniors continue to sustain injuries as a result of elder abuse. If you are concerned that your parent or elderly loved one has suffered injuries at a nursing home, assisted-living facility, or RCFE in Southern California, contact an experienced San Diego nursing home abuse attorney.